The Royal Randwick Spring Carnival brings a month long series of horse races to Sydney and sets the stage for the Melbourne Cup in early November. The event is set to take place over four key dates of action packed racing including George Main Stakes Day, Epsom Day, The City Tattersall's Club Cup Day and ofcourse Melbourne Cup Day, where you can watch the main event on the big screen. 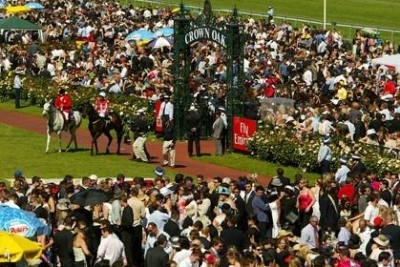 The Spring Carnival is held at the Randwick Racecourse, Sydney, between 25 September and 2 October. Aside from the impressive racing line up during the month, there is plenty of other trackside entertainment including live bands, performers and ofcourse the ladies fashion show, which plays a big part of the Spring Carnival event. See what's in and what's out as the ladies impress with their style and sophistication in the fashion stakes. BookToday has a wide range of Royal Randwick Spring Carnival accommodation options. Come and be a part of one of Australia's biggest horse racing events. We have the best accommodation deals in Sydney and it's surrounds. If you require further assistance with your booking, please call 1300 733 274 and speak with one of our friendly customer service assistants.